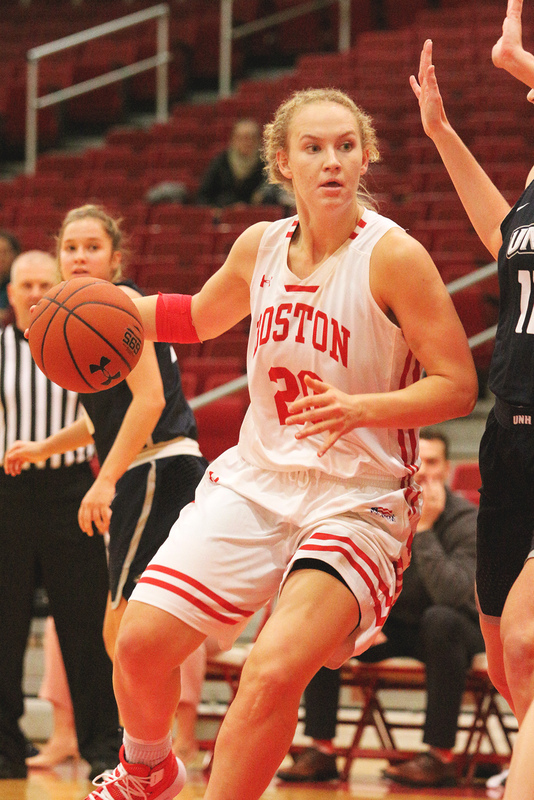 Boston University women’s basketball won at home Wednesday, beating the University of New Hampshire 60-39. The Terriers moved to 3-2 on the season, while the Wildcats dropped to 1-6. BU came into the evening having gone over a week since their last match, a 67-65 win over Bryant University Nov. 20. Meanwhile, New Hampshire was coming off of their first win of the season, also over Bryan University but five days later. Both teams struggled out of the gate, with UNH holding a slim 11-9 advantage after the first 10 minutes of action. The Terriers grabbed their first lead of the game early in the second quarter, when sophomore guard Katie Nelson canned one from outside the arc to set the score at 16-15 BU. Junior forward Nia Irving then took the helm for the Terriers. Irving scored 10 of her 16 total points in the second frame, including an off-balance layup that also drew a Wildcat foul. Irving exhibited a variety of post moves Wednesday, skills the forward said she’s been working on. Irving described how she uses these skills on the court. After trailing 0-6 to open the contest, the Terriers headed into halftime ahead 31-24. 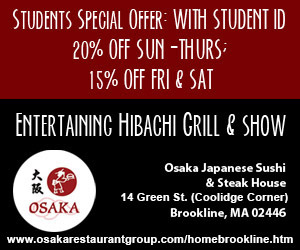 Irving and freshman UNH guard Kari Brekke led all scorers at the break with 10 points apiece. BU continued their momentum early in the third quarter. They got off a quick five-point run, sparked by a three-pointer from senior guard Lauren Spearman. From there, the Terriers did not look back, outscoring the Wildcats 18-9 in the third quarter, widening the gap to 49-33. BU then started the fourth with seven straight points. Wednesday’s contest saw BU hold their opponent under 40 points for the first time since 2014. The Wildcats shot 30 percent from the floor and 10 percent from the three-point line, while the Terriers converted 47 percent of their total shots. For BU, every member of the starting lineup scored at least nine points. BU head coach Marisa Moseley said she was impressed with the all-around effort from each of her five starters. Off the bench, freshman forward Chiara Tibbitt added four points. Fellow freshman forward Riley Childs led the game in rebounds with nine boards, and sophomore forward Mackenzie Miers grabbed six of her own. As an upperclassman, Irving has taken on an increased leadership role. The Maine native said she is looking to follow the example set by last year’s strong senior class. She also said she wants to be someone who her teammates can look up to. “It’s trying to fill in their footsteps and trying to take over that leadership role so that the younger kids on the team have someone to look to for guidance,” Irving said. The Terriers’ next contest will also be their fourth home game this season, with the team looking to maintain their unbeaten record at Case Gym.